Apple made a major step towards realizing its expansion plans into Mainland China with a fully localized version of both its website and App Store. As one would expect, everything on Apple.com.cn is in simplified Chinese, even down to the screenshots on all of the device pictures (even the good old Apple Battery Charger). Prices, and ordering are available on the site and Apple is promising free shipping on all orders. “Eligible students and faculty members” are supposed to get an education discount, though we’re not sure how that will be applied/checked. Apple is also offering free engraving of all iPods and iPads. Apple is also offering signature gift wrapping “just in time for the holiday shopping season” – which is kind of funny, as there really isn’t a holiday shopping season in China – more like a 365 day shopping season. This is really a smart move for Apple right now as its products – mainly thanks to the iPhone 4 – are finally starting to become popular in Mainland China. 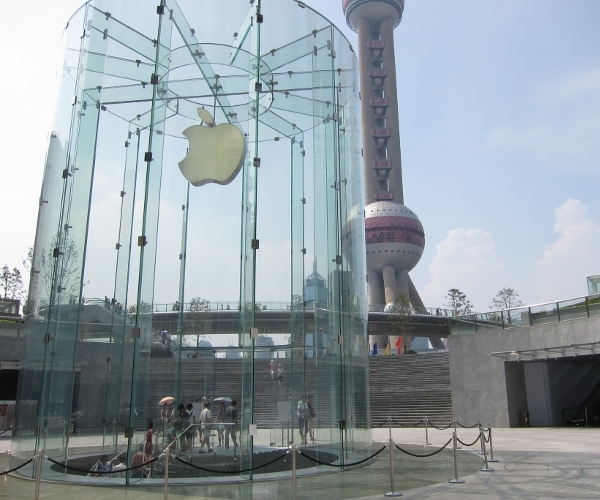 While a gray market has long existed for Apple products, there are only four Apple Stores in China at present (two in Beijing and two in Shanghai), though Apple plans to expand to over 20 in a relatively short time. If Apple can handle the online purchasing and shipping process well, then this could be a strong boost for its sales, especially we’re guessing for the iPad.